I hope your week has been amazing! 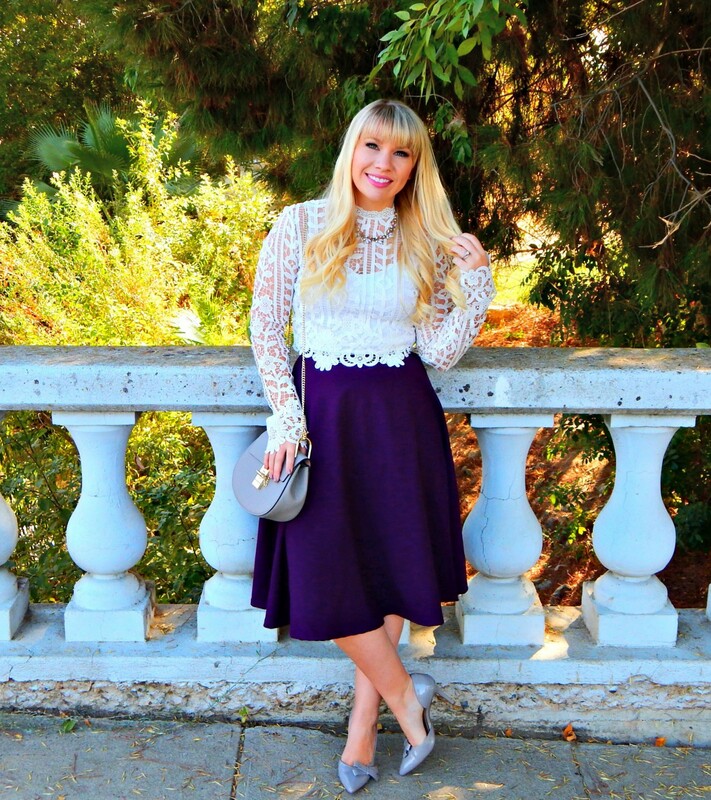 If you’ve been visiting for a while, then you know that lace is one of my absolute favorite things ever (aside from tulle, of course!). So much so that I made it part of my blog name 🙂 Even though, it’s a lighter weight fabric, I think that it’s super versatile and can be styled for nearly any season. 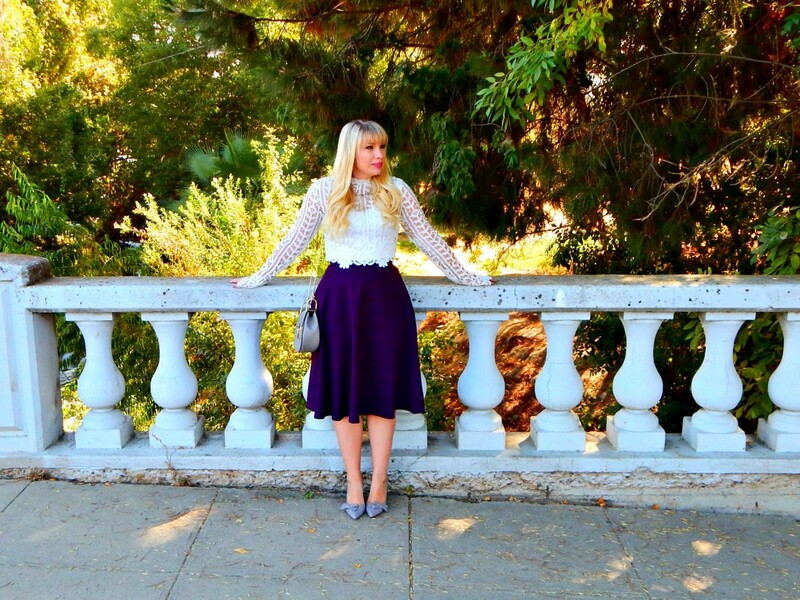 Crochet lace in particular is seen as more of a summery fabric but I think it’s really beautiful for fall, especially when it’s long sleeved. This top deserves all the heart eye emojis! 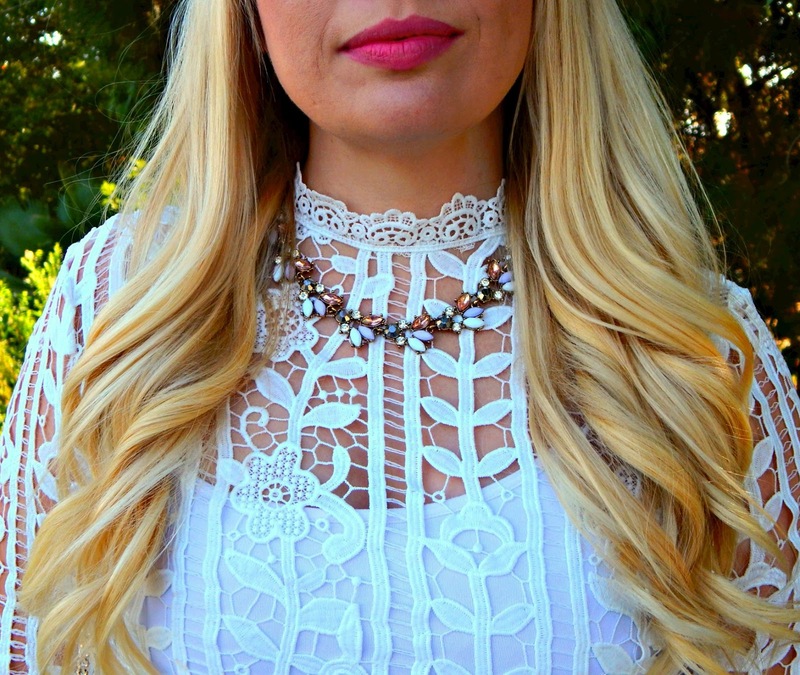 The neckline is absolutely gorgeous and since it’s cropped, it’s a perfect fit for pairing with skirts. 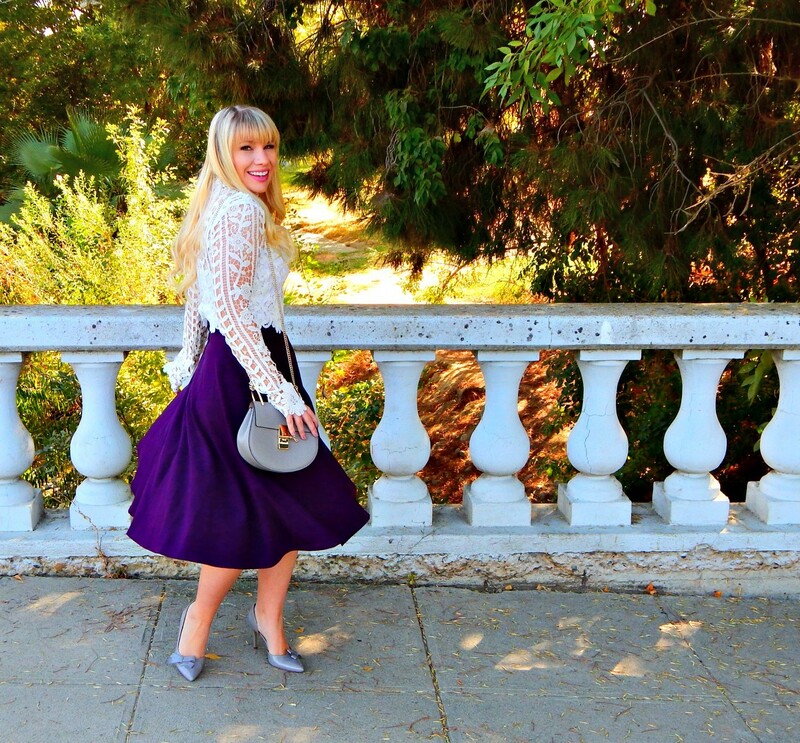 I’ve had this particular skirt forever, but it’s one of my favorites since plum is one of my go-to colors for fall. Both of these pieces pair nicely with nearly everything so I plan on getting a lot wear out of them 🙂 To complete the look, I added some lovely grey bow pumps, a pretty grey saddle bag and the most gorgeous choker ever! P.S. If you haven’t entered the Wolf Whistle giveaway yet (and believe me, you want to), then you can do that here! P.S.S. I’m looking to upgrade my camera and would love some suggestions for a DSLR that has great image quality and is easy to use <3 Thanks in advance! This is such a pretty and unique dress. I absolutely adore it! 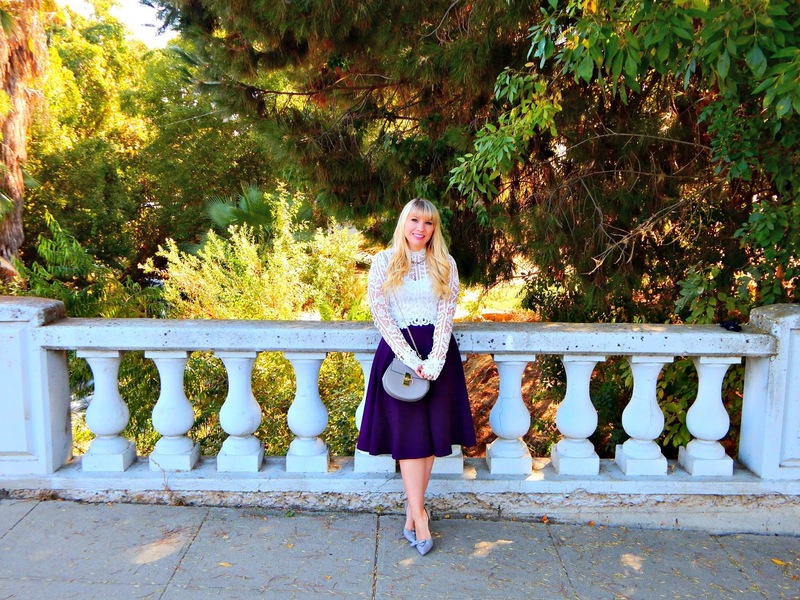 Previous Post Holiday Dress & Giveaway!